Great Plains IDEA is proud to support military-connected students. Our member universities, which are accredited and highly respected, work to assure that online education is a good option for those affiliated with the military. If currently serving, you can complete your degree online with continued access when you are deployed or transferred. If a veteran of the military, you will find our member universities can help you transition into online higher education from wherever you live. Military family members will find online academic programs flexible and convenient, even if you relocate frequently. 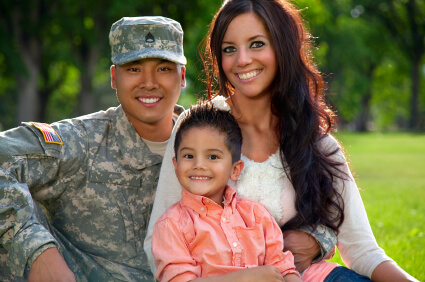 For those interested in a career serving military families, our programs are uniquely designed to prepare you to work in a mobile society. Great Plains IDEA is dedicated to helping military-connected students achieve their goals. Whether you are looking to advance through school, a career, or personal endeavors, we are here to help.